Cat, Duck and Squirrel live in a little cottage within a big pumpkin patch. 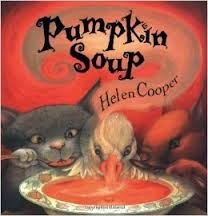 Everyday, Cat slices up some pumpkin, Squirrel stirs in some water and Duck adds some salt for a delicious pumpkin soup. Until the day Duck wants to stir in the water that is... a wonderful autumnal tale of friendship and sharing; not at all scary, but perfect for youngest children at this time of year. Classic! Another creepy, creepy CREEPY! 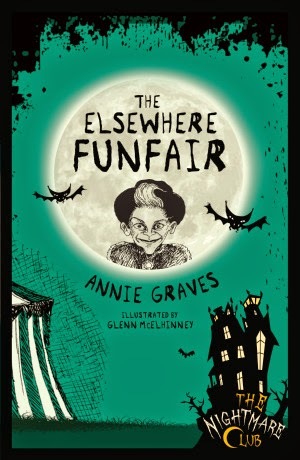 tale from the Nightmare Club series....this one will make you think twice about ever going to the Funfair again. (Really, if you're into creepy, spooky books, you should just read the entire Nightmare Club series...they are brilliant!) 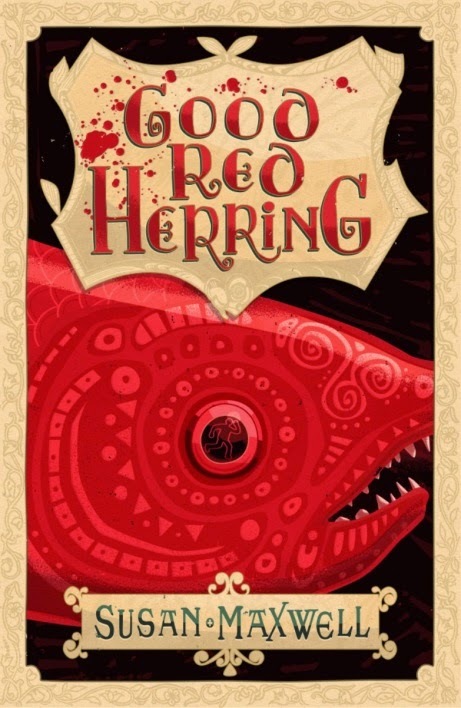 Perfect for ages 6 and reluctant readers...anybody, really. 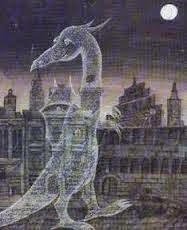 The Great Hagges have made a horrific discovery...ghosts are decidedly lacking these days and something must be done! No one has been scared to death in decades! Things have to change and fast. So, they found the prestigious Mountwood School for Ghosts. Just in time, it seems. But can these misfit spooks save a small town from destruction by an evil developer and his cronies? 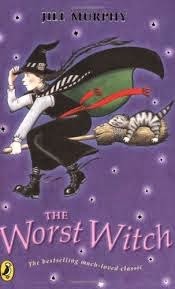 Grace and her friends, Jenny, Una, Rachel and Addie are five 'failed' witches. But one night, the discover a notebook with strong magical powers of its' own. It's time to tap into their own powers and stem the tide of magic before disaster ensues. 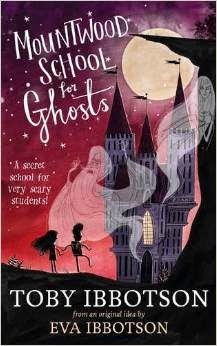 This is the first of a brilliant series for young girls. I can't recommend it highly enough...in fact, you've just got to read all three of them! 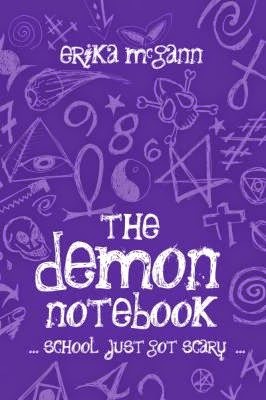 (The Demon Notebook, The Broken Spell and newly published The Watching Wood.) Fabulous fare for ages 10 +. So...there's a few for you...Happy reading! 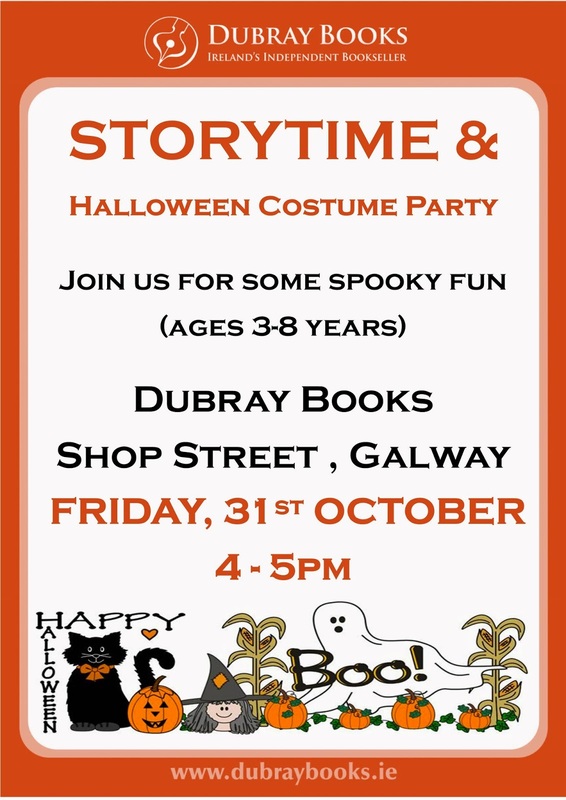 For my part...as they schools are on a midterm break this week, I have a very special Halloween Storytime and Costume Party planned at work (Dubray Books Galway branch; 4 Shop Street) from 4 to 5pm on Friday..Halloween. 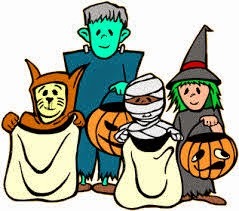 So if any young witches, wizards, ghosts, pumpkins, etc. 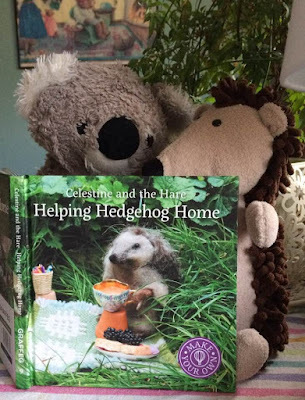 (ages 3 to 8) are out and about, please come in a brilliant storytime! p.s. There will be goodie bags! 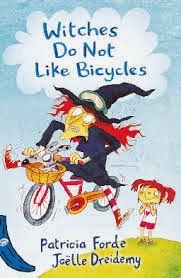 Patricia Forde: Witches Do Not Like Bicycles! A big, big thank you goes out to Patricia Forde. 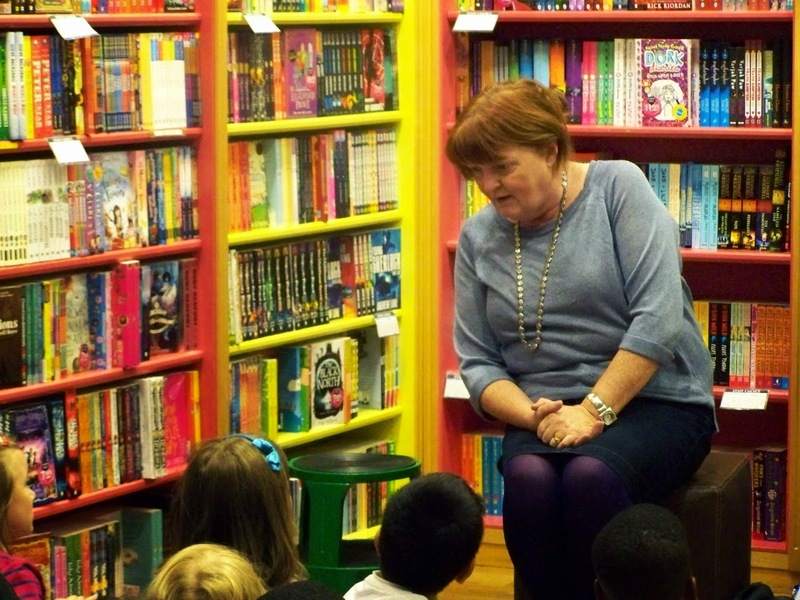 She visited the bookshop yesterday and entertained these wonderful school children by reading her new book, Witches Do Not Like Bicycles. (Very important information for this time of year.) 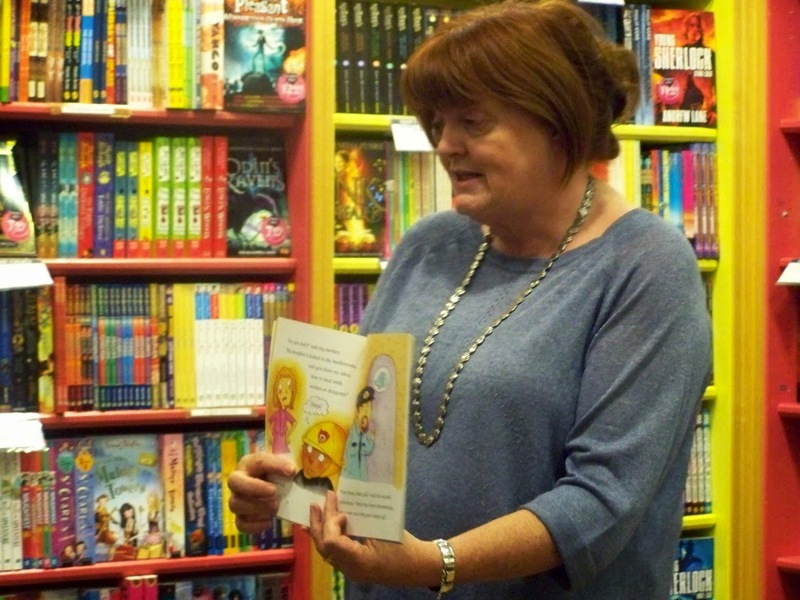 Patricia also read her earlier book in the 'Lola' series, Frogs Do Not Like Dragons, and then got the kids to tell their own stories about being locked in the bathroom....which was very exciting, I have to say. Anyway, the day was fabulous, Patricia was fabulous....the kids were fabulous; even 'Lawrence' (you can 'see' him seated invisibly next to Trish in the photos below) was fabulous....although he did have trouble deciding on a new best friend. I hope he behaved himself, as he went off to school with the class for the rest of the day. So....many thanks to you all....you made my day! See...Lawrence is seated just beside Patricia on the left! So, the plan was to invite a few authors in to help me celebrate the Childrens Book Festival, or as it's known this year, Stories Are For Everyone; Baboro and childrens' books in general (which I do try to celebrate every day.) 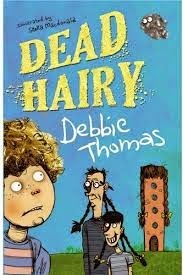 The first to step up was the wonderful wonderful Debbie Thomas; author of Dead Hairy, Jungle Tangle and Monkie Business, that brilliant trilogy of books featuring best friends Abby and Perdita, the families and friends and the uber-evil Dr. Hubris Klench. 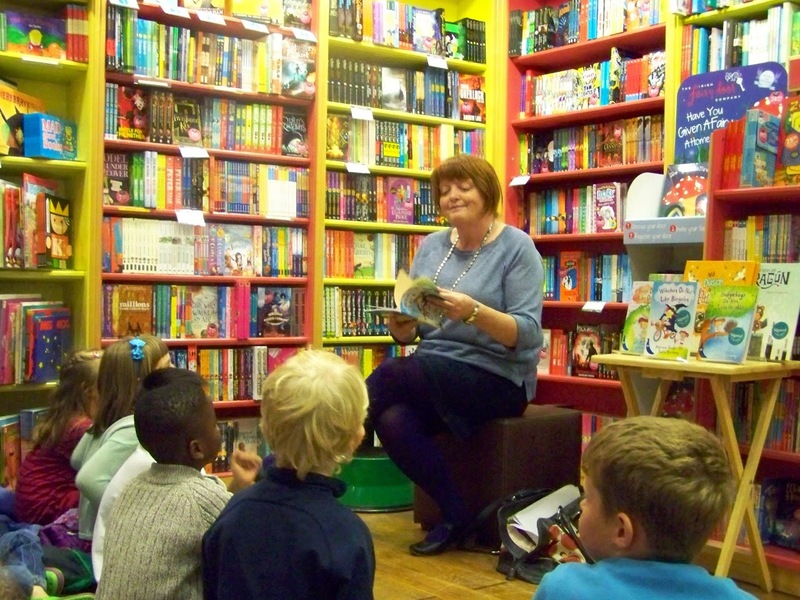 The local school classes came in and were totally engaged and in wonder at Debbie and her books. 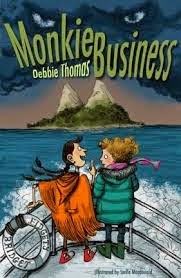 They talked about stories, where stories come from (everywhere and everything, as it turns out) and how Debbie came to write these wonderful books. Basically, it was a fantastic day for everyone! Thank you so much, Debbie! You are always a joy! Before I move on to todays' adventure, let me back-track a bit. I have just got to share a couple of photos from Talk-Like-A-Pirate Day. On the day in question, I invited some local school children in to talk-like-a-pirate with me. They really got into the spirit of things! All were dressed in their pirate finery; and they all brought their parrots! (They also left some pictures of pirate parrots for all the shop, the customers and I to enjoy. Welcome Monday! Back to work! And with all things childrens' literature happening this month, I've just got to have something going on in the bookshop. 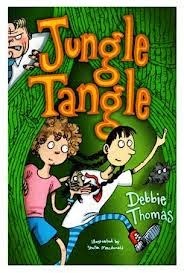 Well, the great news for today is....Debbie Thomas, author of the hilariously funny series of three books....Dead Hairy, Jungle Tangle and Monkie Business, is coming in to enlighten and entertain some of the local school classes. While it is set-up specifically for the classes, that doesn't mean you should get all shy and avoid the commotion! If you're of a mind, do stop in....you'll love it! And thank you soooo much in advance, Debbie! 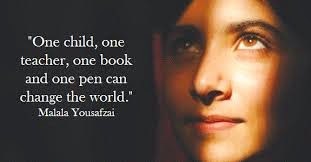 We have all heard by now that Malala Yousafzai, the 17 year old girl who put her life on the line and nearly lost...to stand up for the right of every child to have an education....to read a book. I want to add my voice to the world now offering her our congratulations and our awe at her courage and conviction. I really don't want to enter into a discussion of politics. That's not what I'm about and here is not the place. Rather, I want to look at another aspect of this. The simplest act that brings something incredibly powerful into our individual lives, and thereby, the life of the world... reading. Upon receiving the Noble Prize, Malala thanked her father for 'not clipping' her wings. The above quote speaks to the heart of this. I think sometimes, in our busy, contemporary world, we take certain things for granted. I have to say that every time I hear anyone, but particularly a young person, say they aren't interested in reading, that books are boring, that they have 'other things' they'd rather do; it breaks my heart. I'll go on and on about the importance of reading to your children; how books can change your life; how you learn to see other perspectives and can escape from the world of burden and joyless-ness within the pages of a book. I say that children need books...we all need them. Sometimes, this gets met with a blank stare. Now, I say, look at Malala...she is right; she is an example...this does change the world. 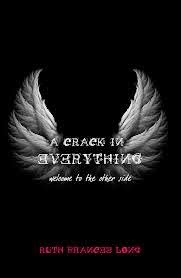 And don't you think the world needs a little changing? Thank you, Malala and many heart-felt congratulations. Yesterday, the shortlist for the annual (and much coveted!) Guardian Children's Fiction Award was announced. 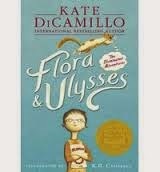 Kate DiCamillo (that wonder who cannot write a bad book! 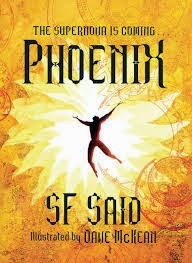 ), Piers Torday, E. Lockhart and SF Said had their latest offerings chosen from what was a very competitive longlist to make one of the toughest shortlists I have seen in quite a while. Young, skeptical Flora rescues a squirrel from an collision with a hoover only to find, the squirrel has developed superpowers. An incredible journey that takes you from the dreams and imagination of a young boy through the stars to discover the fate of the universe. 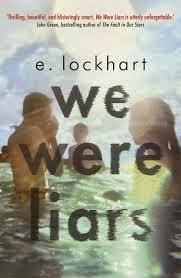 An eloquent and moving exploration of guilt and grief; very subtle, a must-read. 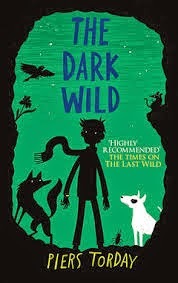 An amazing adventure (sequel to The Last Wild) that never lets up and makes you think! Yes, I have read them all and I have to say, tough choice. Each book is very different in style, content and execution; but each book is equally beautiful, elegant and memorable. Good luck to all the shortlisted authors, and to the judges who now have a very difficult decision to make. 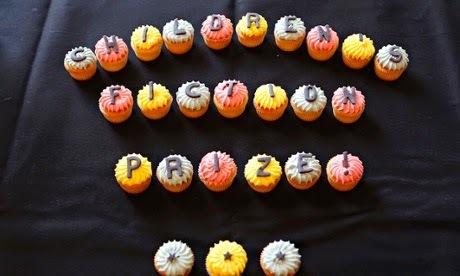 The winner of the Guardian Children's Fiction Award will be announced on the 13th of November. Today is National Poetry Day...so here's a favourite of mine that I hope you'll enjoy! You can start yourself off right now, in fact. At the KBC Galway Hub, just off Eyre Square, there is a beautiful exhibition. Eighteen beautiful panels by eighteen incredible international artists have been installed portraying 18 Rights inspired by the U.N. Convention on the Rights of the Child. So, please do have a good look at the Citizens of the World, Now exhibition. Welcome to October! 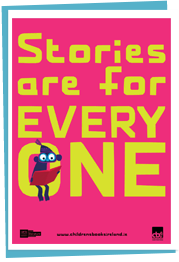 And for those of us in Ireland who are bookishly inclined (so to speak) that means one thing....Stories Are For Everyone! 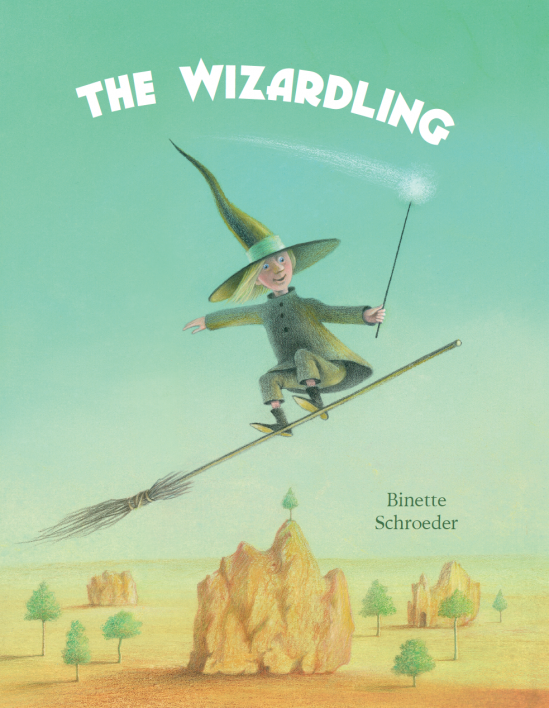 This is the beginning of a month long celebration of books, stories and the magic of reading. All across Ireland, you'll find events and general celebration. 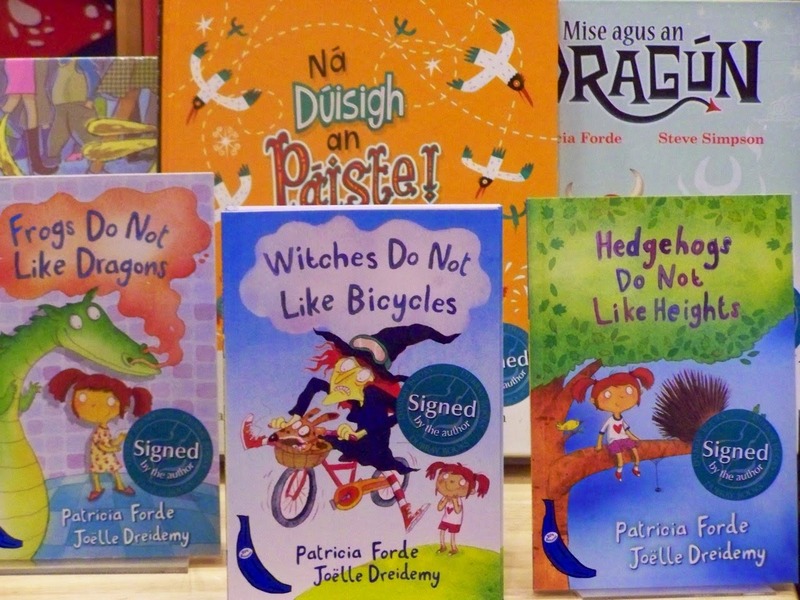 Activities will be running in schools, libraries, art centres...just about everywhere you can think of. 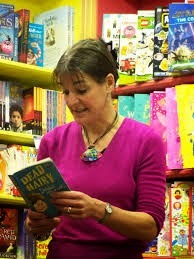 There will be readings by popular authors, writing and illustration workshops, storytelling, competitions. This month is going to be fantastic! I'll be hosting a couple of schools at work throughout the month, and I have some treats in store for them, with Debbie Thomas and Trish Forde paying a visit. I'll also be visiting an area school later in the month to share some of my new and old favourite seasonal stories with them. But there's so much more happening everywhere. You can follow the link below to find the festival programme yourself. And don't forget to check out the wonderful catalog of recommendations...fabulous books for all ages. (All with a great cover illustration by Chris Haughton!) Get your hands on one now!